Exit at junction 44 along the A7 towards Hawick. Once in Hawick, follow the road signs for the A698 towards Kelso. At the T-junction with the A68 turn right then first left, which takes you back onto the A698. Continue along the A698, which is the Kelso by-pass, and at the roundabout turn right, again along the A698 to Coldstream. Go straight through Coldstream and continue through Cornhill-on-Tweed and the village of Donaldson’s Lodge. 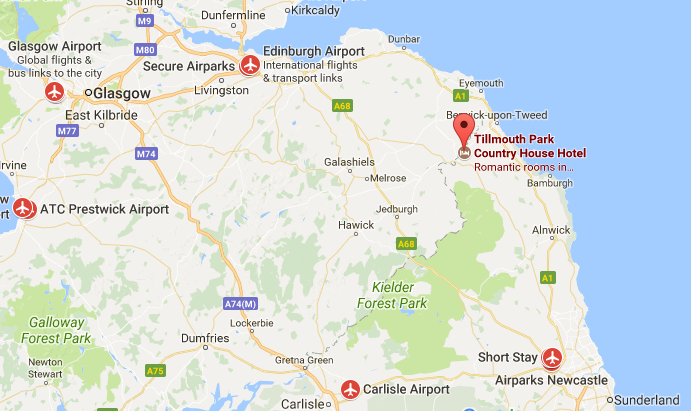 Tillmouth Park Hotel is on the right hand side approximately half a mile beyond Donaldson’s Lodge and the entrance is well-signed and lit at night. On the outskirts of Berwick-upon-Tweed you will arrive at East Ord Roundabout. 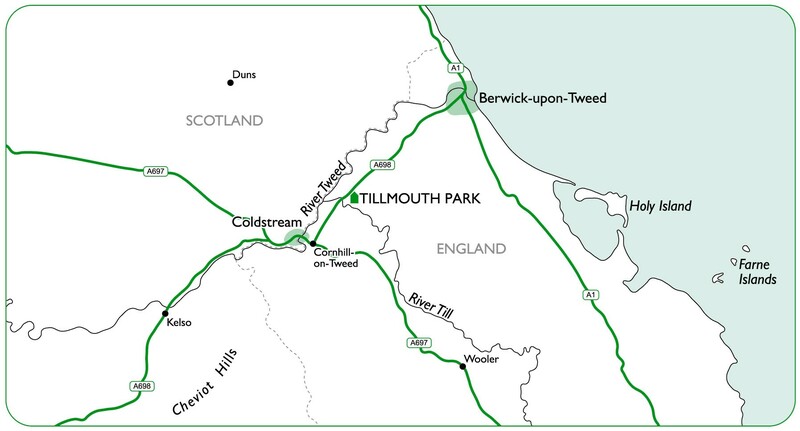 Take the exit which is signposted to the A698 towards Cornhill-on-Tweed and Coldstream. After almost 7 miles you will cross the river Till. The hotel is a sharp left off the A698 and the entrance is well signed and lit at night. 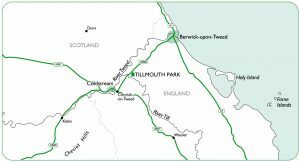 The nearest train station to Tillmouth Park Hotel is Berwick-upon-Tweed. Virgin Trains East Coast runs regular train services north to Edinburgh and from there onwards to Glasgow, Aberdeen and Inverness, and south to Newcastle, Leeds and London. 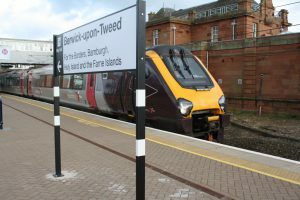 Berwick is a large station with taxis usually available on a rank. But if you would like to book a taxi in advance we are happy to assist. 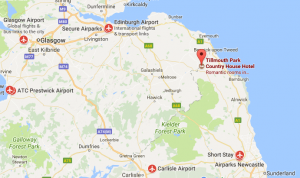 You can choose between Edinburgh Airport to the north and Newcastle Airport to the south, both 60 miles away from Tillmouth Park Hotel. From there you can either hire a car, take the train to Berwick-upon-Tweed or take a taxi straight to the hotel. If you arrive by helicopter, please inform the hotel in advance. 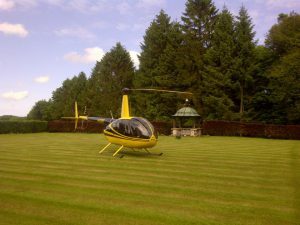 You may land on the lawn to the north of the hotel, adjacent to the main car park. You can find the location information on Helipaddy.